Bhubaneswar:30/10/18: The Odisha government on Tuesday made an upward revision in the minimum daily wages of unskilled, semi-skilled, skilled and highly skilled labourers. The Labour and ESI department published a gazette notification in this regard today. 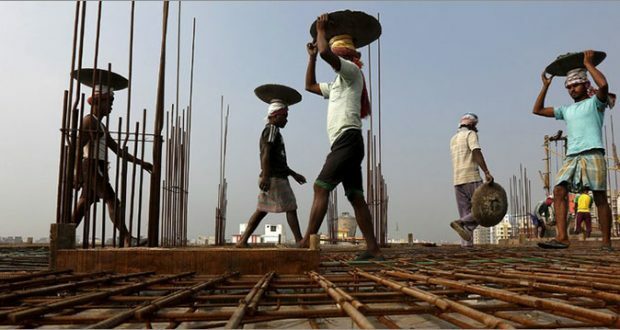 As per the revised pay, the daily wage of unskilled labourers has been hiked to Rs 280 from existing Rs 200 while the daily wage of semi-skilled labourers has been hiked by Rs 100, from Rs 220 to Rs 320. Similarly, the skilled labourers will get a minimum wage of Rs 370 as against Rs 240 earlier and highly-skilled workers’ minimum wage has been hiked from Rs 260 to Rs 430.